Every year, the LaunchPad Program provides a young, unrepresented artist the opportunity to present a site-specific exhibition within the show. This jury-selected program is open to up-and-coming artists who have demonstrated exceptional talent in their field of work and who want to make art their career. The selected LaunchPad Artist will have the chance to exhibit at the show and will be featured on the website and included in publicity and marketing campaigns to collectors and media prior to the show. If you are interested in applying for this year’s LaunchPad Program, please click on the button below for application details. If you are interested in applying for this year’s LaunchPad Program please click on the button below for application details. Krista Schumacher is an oil painter who currently lives and works in La Jolla, California. Schumacher was born in 1991 at Keesler AFB in Biloxi, MS. Growing up as a military brat, Schumacher moved every several years until her family settled along the beautiful Emerald Coast in Niceville, FL. Creativity became unbound at the age of 16, when Schumacher’s mother took a painting class. Her mother had an innate, raw talent for painting. Eager to be like her mother, Krista wanted to try painting for herself. From the very moment she took a paintbrush in hand, Schumacher realized art was going to become her world. 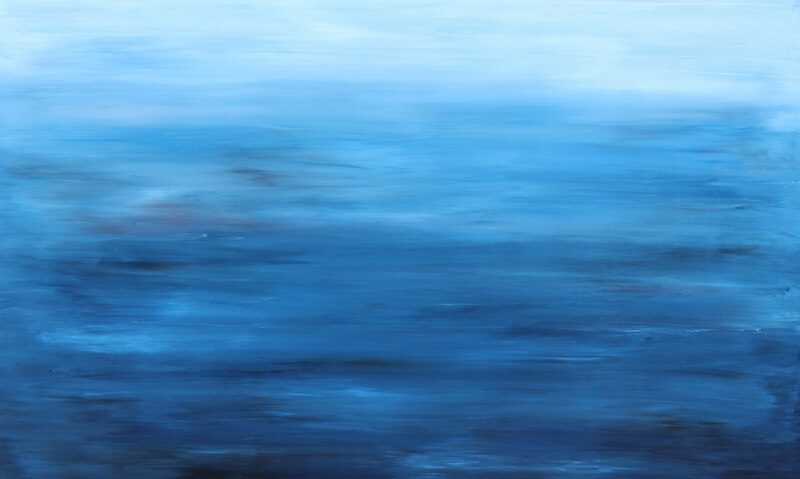 Schumacher has developed a unique all prima, contemporary abstract style. Her works are a reflection of a creative-driven spirit which seeks to experiment and explore the relationship of color, form, and texture. By applying large quantities of oil paint with palette knives, her pieces take on a multi-dimensional form filled with spontaneous texture and beautifully rich colors. Schumacher attended the University of Florida for her Bachelor’s degree and is currently a graduate student in the School of Art + Art History. She was awarded Southwest Art Magazine’s top 21 artists under the age of 31 in 2016. My abstract oil paintings inspired by my recent move to La Jolla, California. As an artist, I explore the relationships between color, form, and texture by applying large quantities of oil paint with palette knives. My paintings take on a multi-dimensional form and are easily recognized for their use of heavy-texture and bold colors to emphasize nature’s spontaneity and beauty in a modern, abstract way. My work not only reflects the awe-inspiring natural beauty of Southern California, but also embraces the contemporary design and urban diversity of the region. Although I paint each painting in my distinct palette knife style, I vary color in each work to juxtapose the city grays and blacks, desert earth-tones, and iconic ocean landscapes that are unique to the West coast. The collection encapsulates the essence of the San Diego experience: a major metropolitan city interwoven with natural wonders. My paintings shed light on a transitional and transformational period of my journey, and reads as a raw diary of my first year exploring a new city with a heightened awareness and sensitivity to my surroundings. This jury-selected program is open to up-and-coming artists who have demonstrated exceptional talent in their field of work and who want to make art their career. Filipina Irish American artist Mikaela McLeish grew up in the age of screens, selfies, and Snapchats. Through painting, she hopes to disrupt the impermanence promoted in the digital age and inspire viewers to indulge in the present. Known for her ethereal large-scale oil paintings, McLeish explores the tension that lies between isolation and connection, individual and society, and reality and dream. Inspired by Jacques Lacan’s philosophy on mirrors and how they help children develop a sense of self-identity, McLeish’s current work explores ideas of consciousness and the self. In Doubling, she uses expressionistic brushstrokes and a bold color palette to portray a young woman submerged in a pool, her reflection doubling not only the body but also identity and reality. Described as a visual biography of self-identity, Doubling is intimate, seductive, and provocative. Born and raised in California, McLeish has exhibited in solo and group shows at the Museum of Contemporary Art San Diego (MCASD), The Diego Rivera Gallery, Cell Space Gallery, San Francisco Art Institute, Thumbprint Gallery, The Studio Door, and La Bodega Gallery. The recipient of the 2017 Business of Art Scholarship and a finalist in the 2015 MCASD 25 & Under Art Contest, McLeish earned a bachelor’s degree in fine arts from the San Francisco Art Institute in 2014. For more on McLeish, visit her website at www.mikaelamcleish.com. This year’s selected LaunchPad Artist for Art San Diego is Stefani Byrd, whose practice includes video, new media, and interactive technologies. 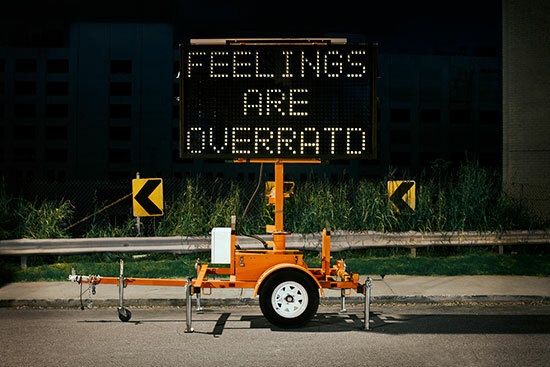 Byrd is most noted for her interactive temporary public art installations, which are hybrids of video and performance art that both disorient and re-orient the viewer. 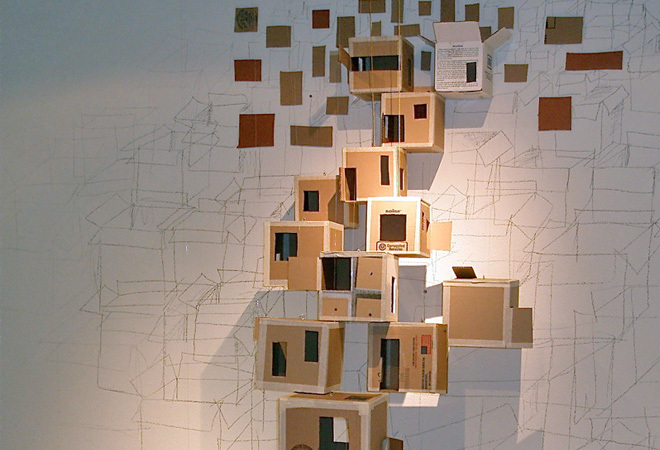 Her current work involves creating interactive and immersive media environments. 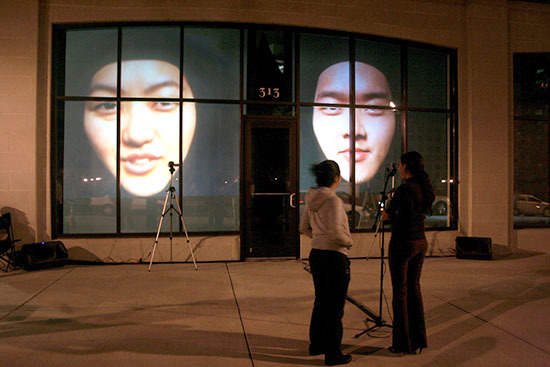 Byrd’s most recent project, “The Razor’s Edge”, is a multi-channel video installation shown on individual HD monitors. In each video, performers exhale slowly against an unseen piece of glass, fogging and obscuring their faces in fleeting moments between breaths. As the warm breath touches the glass, the invisible barrier between performer and camera is revealed, dividing space into two sides. 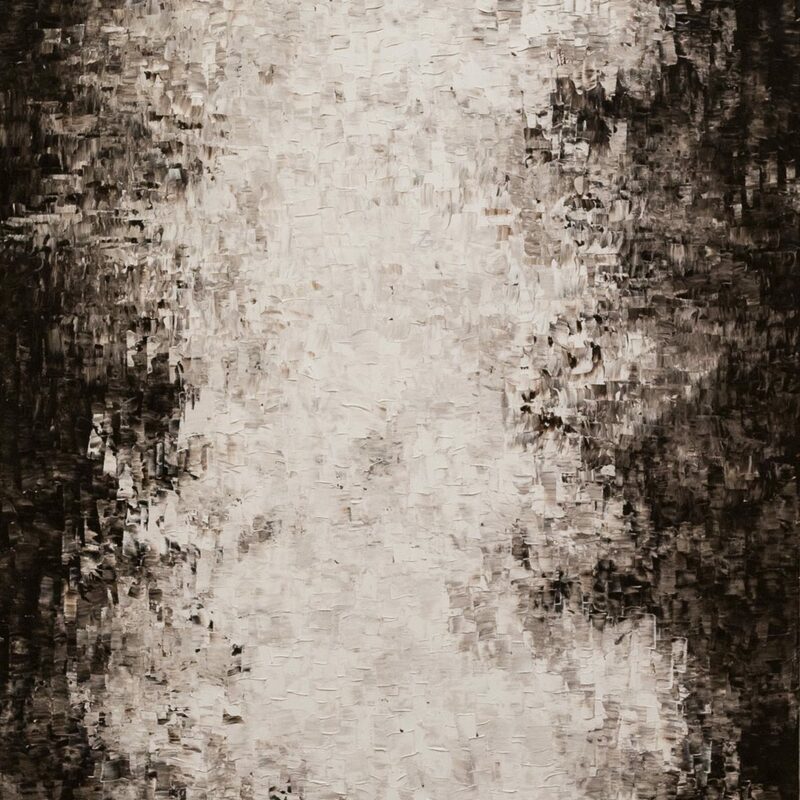 An exploration in impermanence and mediation, the work captures the breath, making it visible just long enough to be confronted by both performer and viewer. Byrd has received grants and support from groups such as: Creative Capital of New York, Flux Projects, the San Diego Art Institute, the San Diego Art Fair, Atlanta Celebrates Photography, and Idea Capital. Her work has been featured in such publications and places as the Public Art Review, the Huffington Post, the Atlanta Journal Constitution, the Hunter Museum of American Art, and Art Papers Magazine. Her work is held in the permanent collections of the Museum of Contemporary Art of Georgia and the Columbus Museum of American Art. Her work is also archived as a part of the Public Art Database project. Byrd received her BFA in Photography from Georgia State University in Atlanta, GA, in 2008. She is currently a third-year MFA candidate at the University of California San Diego with an emphasis in New Media and Art + Technology. For more on Stefani Byrd, visit her website at www.stefanibyrd.com. 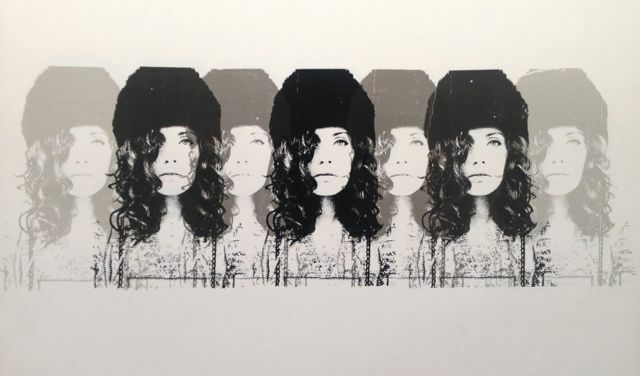 Brittany Segal | “The Russian” (Silkscreen) | 2010 | 24" x 26"
Brittany Segal is a San Diego-based artist who studied fine art sculpture at The Academy of Art in San Francisco. In recent years, her vast collection of work, including numerous commissions, has gained her significant recognition for her paintings and small, detailed drawings. Her work ranges from abstract oil pieces to acrylic graphics works. Her drawings range from purposefully yet hauntingly illegible writings to intricate, small designs. 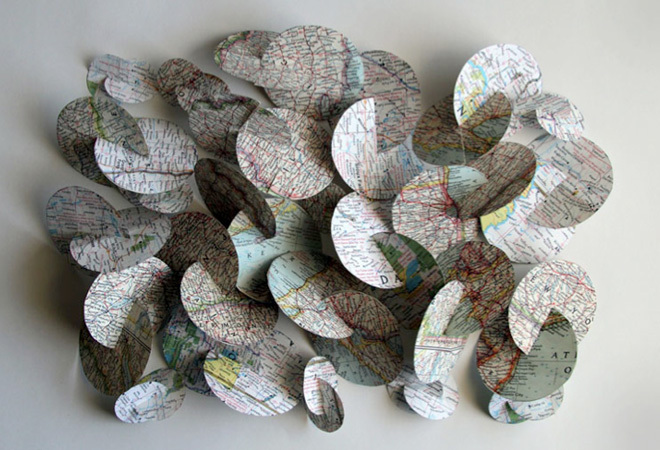 Emily Grenader grew up in Houston, Texas and moved to New York City in 2003 to earn her BFA from the Cooper Union for the Advancement of Science and Art. 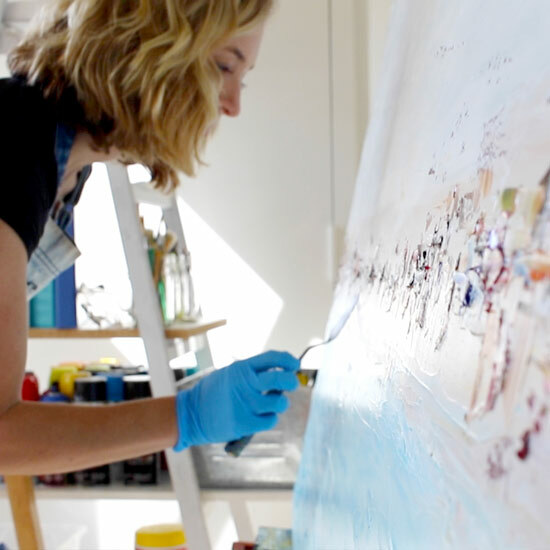 She arrived in La Jolla in 2011 where she is currently an MFA candidate in the Visual Art Department at UCSD. 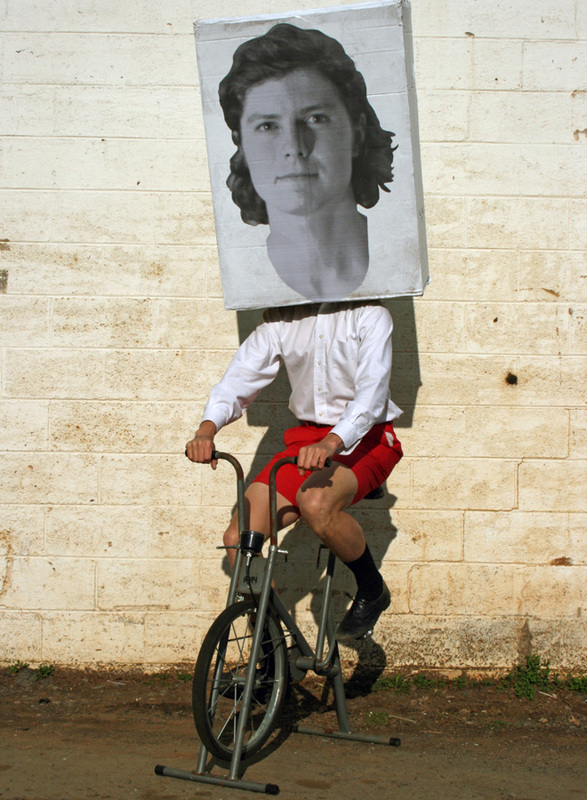 Emily uses various mediums to combine individuals into “crowd portraits,” exploring human connections from many perspectives. Projects from her most recent crowd series have won the Lawdale Big Show’s Juror Prize, and Kickstarter’s “Best Art Project” award. She also collaborates with engineers to create projects that deal with human-computer-interaction, and her team recently presented in the 2013 ACM SIGCHI Conference on Human Factors in Computing Systems. Avery Lawrence is a multimedia artist living in New Orleans, LA. He was born into a loving, supportive family in Charlottesville, VA. He graduated from the University of Pennsylvania in 2008 with a degree in Visual Studies. After graduating, He illustrated a fine press edition of the Iliad and Odyssey. His current projects blend video, performance, sculpture, drawing and wallpaper to explore the beauty and relevance of the absurd and surreal. Avery Lawrence was the Grand Prize winner of See.me’s Art Takes Miami competition. Prize included a featured booth at the SCOPE art fair during Art Week Miami 2012. Miguel Fernández, born in Hermosillo, Sonora, México in 1986, studied Plastic Arts at the Universidad de Sonora, 2006-2008. He currently lives and works in Tijuana. Some of Miguel’s collective exhibitions include: Confesiones in Los Angeles, CA, Boundaries: Selections from the MOLAA Permanent Collection, in Los Angeles, CA; The Tierney Fellowship exhibition in New York, NY; des(c)ierto sentido (deserted sense) in Mexico City; distancia relativa (relative distance) in Tijuana, B.C. ; Contemporary Art of Sonora, in Culiacán, Sinaloa; and Sobre lo impuro (About impurity) in Hermosillo, Sonora. He also has had two solo exhibitions: Imposturas (Impostures) in Hermosillo, Sonora; and Algo que habiendo empezado bien se ha estropeado (Something that having started off right has gone wrong) in México City. Fernández’s awards include: Acquisition Prize in the Sonora Creative Photography Concourse in 2008 and Special Jury Mention in 2009. He received an Honorable Mention in the XII Northwest Visual Arts Biennial in 2009 and in the XII Miradas Biennial in 2010. Miguel was honored with a Young Creator Grant from the State Fund for Culture and Arts in 2009. He won a Tierney Fellowship in 2010 in New York and was selected in the 2011 Discoveries-Photoespaña in Madrid. He is currently sponsored by FONCA and is studying philosophy in the Autonomous University of Baja California. Art San Diego features a wide platform of cutting-edge programs highlighting established and emerging artists. Learn more about these specially curated programs and explore all Art San Diego has to offer! Are You An Emerging, Unrepresented Artist In San Diego County? Art San Diego 2017 wants you to be our LaunchPad Artist! Apply for your chance to exhibit your exceptional art at Art San Diego 2017 and be featured on the website and through a marketing email to collectors and media prior to the show. 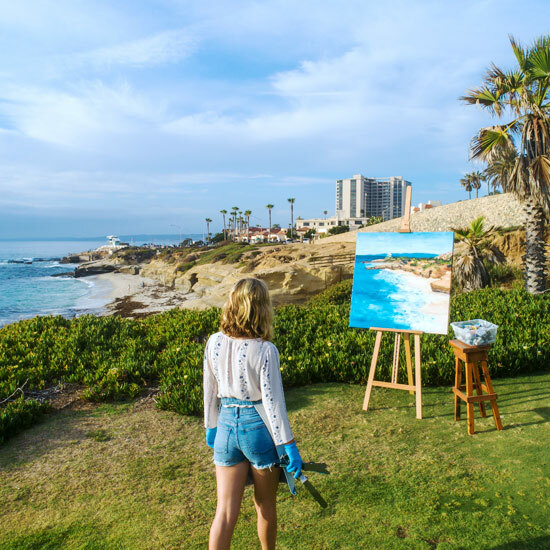 This year’s Art San Diego theme is [FUSION]—the merging of artistic mediums, of exhibitors and collectors, and of the countless galleries and artists that come together to showcase their work.